Famous Pirates : Ahoy mateys! 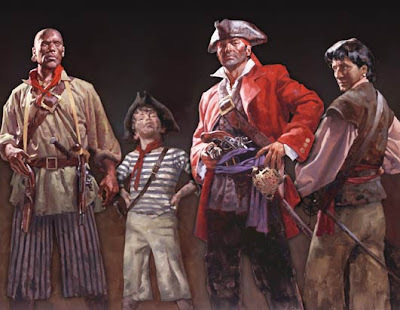 Meet some of the pirates of the Whydah. Pictured from left are Hendrick Quintor, John King, Sam Bellamy and John Julian. 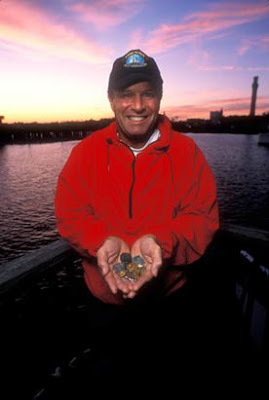 Underwater explorer Barry Clifford holds some of the treasures recovered from the wreck site of the Whydah, which sank in 1717. Many of these artifacts will be on display in the new National Geographic exhibition, "Real Pirates: The Untold Story of the Whydah From Slave Ship to Pirate Ship." This gold ring recovered from the wreck site of the Whydah has been the subject of much conjecture. Some believe the cryptic letters are the abbreviation for a Welsh "good luck" wish. Others speculate that they may be of African origin. 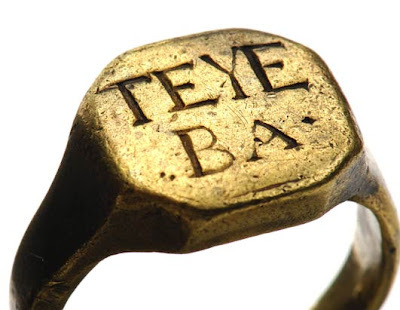 Another theory has it that the ring once belonged to a Royal Navy seaman named Teye, who later turned pirate. 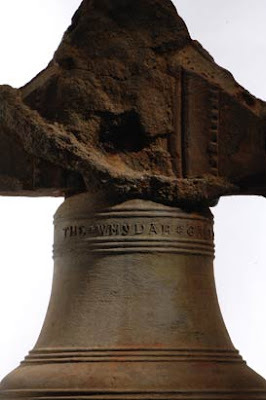 When this bell was discovered, it provided the final confirmation that the wreck site was indeed that of the Whydah, which sank in 1717. 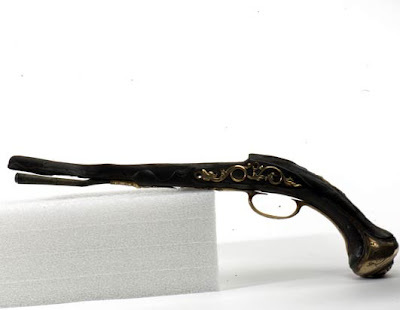 The bell is part of a new National Geographic exhibition, "Real Pirates: The Untold Story of the Whydah From Slave Ship to Pirate Ship,"
This pistol with its brass serpentine side plate was recovered from the wreck site of the sunken ship Whydah. 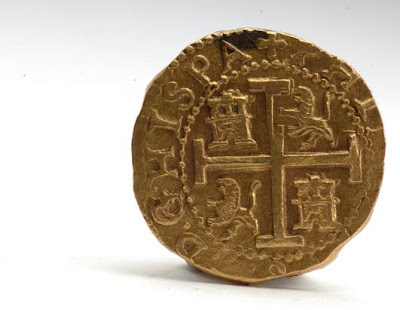 This gold coin was one of many found at the wreck site of the Whydah, which sank in 1717. And more pirate booty! 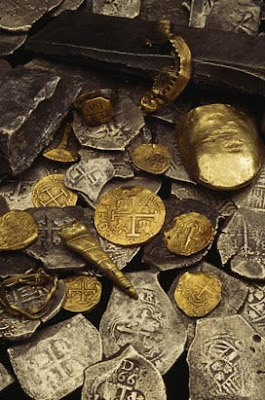 Coins and artifacts recovered from the wreck site of the Whydah, which sank in 1717. 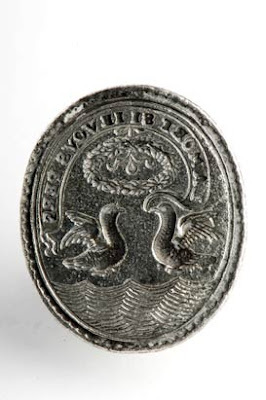 The quality and engraving of this turtledove seal suggest that it was made for a wealthy buyer.